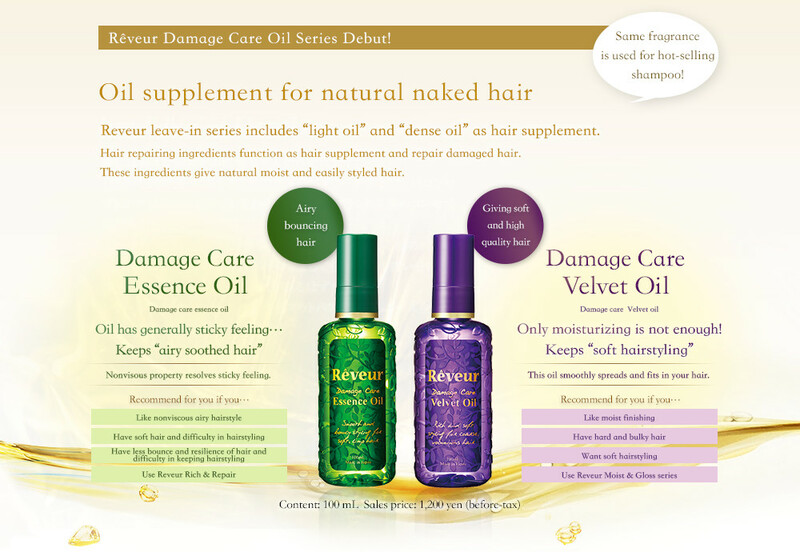 Reveur is renewed for you so that you can select the most appropriate hair care product for ensuring shiny hair. Expectation and rich imagination created by knowing and reflecting on yourself in order to select an appropriate product for yourself lead to a source of invaluable beauty. Your own beauty and gloss will evolve depending on your accumulated experience and surrounding environment.Reveur prepared special properties that you can select depending on the level of your evolution. Silicon makes your hair shiny and silky by coating hair surface just like foundation. It makes your hair glow without damaging hair, but effect of repairing hair damage and improving hair quality cannot be expected. Some types of silicon in addition to dirt and sebum may clog the scalp pore. 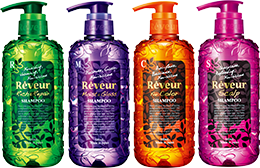 To give you natural naked hair, all types of shampoo in Reveur series are silicon-free.Reveur shampoo sufficiently washes away dirt and sebum every time you wash to make your hair return to natural naked state. This state facilitates the penetration*2 of care component *1 into your scalp and hair. 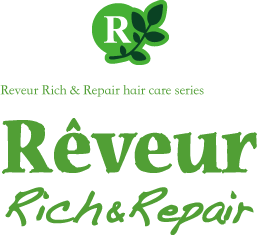 High coating property of silicon prevents friction between hair fibers and protects your hair from dryness and damages in everyday life.Reveur considers caring for hair with silicon mix conditioner after returning your hair to natural naked state with non-silicon shampoo as golden ratio for hair care. Therefore conditioners in Reveur hair care series is mixed with silicon. Collagen-based hair conditioning ingredient*3 mixed in the conditioner fits smoothly in your hair by effectively taking advantage of the merit of silicon to achieve unprecedented comfortable finishing. 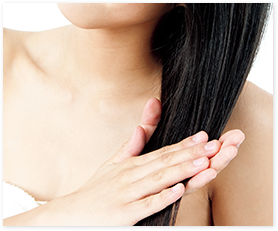 Hair cuticle is tightly layered and arranged in a healthy and silky hair, but it is damaged in and peeled from a damaged hair. Therefore the damaged hair cannot keep moisture, becoming dry and coarse. Reveur suspected that the damage of cuticle causes creak of hair after washing with non-silicon shampoo. Then Reveur mixed plant-derived cuticle repairing ingredient*1 in shampoos of all series. This ingredient adsorbs only on damaged cuticle surface to repair, and leads to the hair with cuticle of newborn baby. As smoothly arranged cuticle detangles your hair to be smooth to the touch, you can feel comfortable using Reveur shampoo. Just like you select skin care products adequate for your skin type or aim, if you can select hair care products adequate for your hair type or aim, your hair may be more shiny and silky. 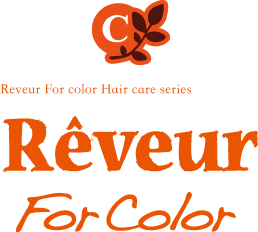 From this point of view, Reveur produced four types of hair care products including hair care series selectable according to your hair condition and finish as well as scalp care series dedicated to scalp care. 17 and 15 types of naturally-derived botanical ingredients are mixed according to aim in the hair care series and the scalp care series, respectively. If you select a product adequate for your hair type or aim, these ingredients penetrate into your natural naked hair through newborn cuticle to realize more satisfactory finish. Green Reveur gives airy and thicker hair. Three types of “marine-origin ingredient*1” and 14 types of “naturally-derived healthy-hair ingredient*2” are mixed into Green Reveur. These ingredients give bounce and resilience to your hair and realize airy and thicker silky hair. 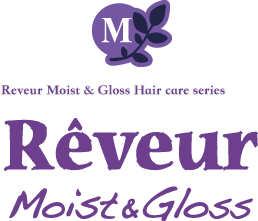 Purple Reveur gives gloss and moist hair. Three types of “botanical ingredient *1” and 14 types if “naturally-derived moisturizing ingredient *2” are mixed into Purple Reveur. These ingredients give moisture to your hair and realize moist and gloss hair. Orange Reveur gives beautiful hair color. Repeated hair coloring results in dry hair and causes fading because dye flows out. Orange Reveur contains three types of “botanical-origin ingredient*1” and 14 types of “naturally-derived healthy-hair ingredient*2” to moisturize and protect hair damaged by coloring and realize beautiful finish. 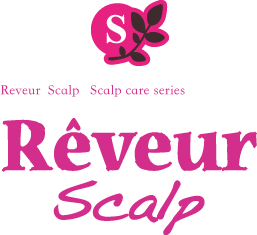 Pink Reveur is hair care series for scalp skin care. Three types of “botanical extract*” for protecting scalp and hair and 12 types of scalp- and hair-friendly “botanical extract*” are mixed into Pink Reveur. Soft touch and softly scented ingredients reduce daily stress and take care of scalp and hair. (c) 2015 JAPAN GATEWAY CO.,LTD .ALL RIGHTS RESEVED.